So I missed a big bunch around the Google Home pieces... but I pieced together what I needed to know and I got to hear the bigger bits. First up, getting to hear +Sundar Pichai talk about the move that Google is taking from 'mobile first' to AI first was pretty inspiring. I loved the line of "ensuring that our technology adapts to us, not us adapting to our technology". Working with entrepreneurs lately we talk a lot about ensuring that we simply solve our clients' problems. Introducing a solution that creates more problems is not a real solution at all (ie you build the best mouse trap but it's too complicated to use...). This is about the time where I missed out. What was announced next were (I presume), the Google Home Mini and the Google Home Max. The difference from the original just being the size (from what I can gather). 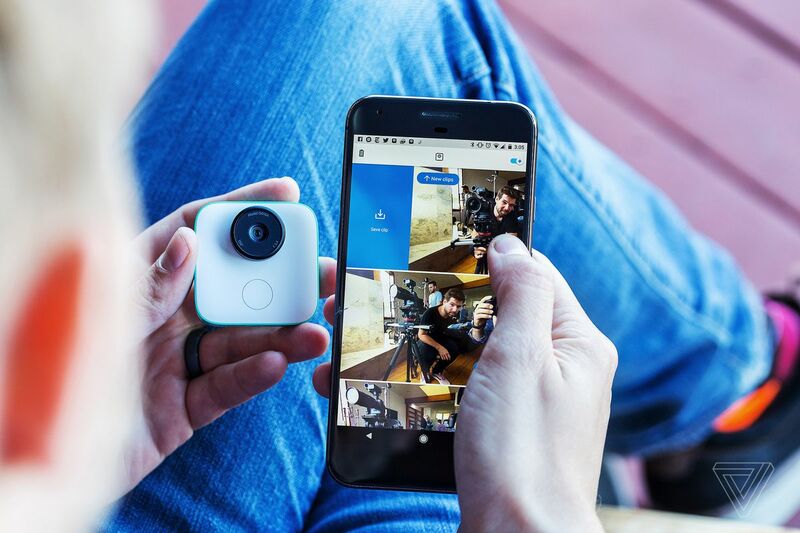 The mini looks great, and you get one free if you buy the new Pixel, but after using the Assistant on my Nexus Player I so want one of these. This will be great for my son to do his homework. It's listing on the site for $79. The Max is a larger powered speaker version, but isn't listing the price currently. The Pixel Pen was pretty awesome. Another $99 on top tho'. I loved how they designed it to match the design of the Pixel phones (that 2 level finish). They mention the feature of "Auto-tether" when set up properly so that when the Pixelbook is out of WiFi, it will automatically set your Pixel to go into tethering mode and connect to it. So it's seamless. That'd be great in the US where data is plentiful. In Canada, we're still paying a huge premium ... so I rarely, if ever, tether my laptop to my phone. There's the Pixel 2 and the XL variant. Notable new features over last years would be it'll be (hopefully not exclusive) packing Google Lens, the camera will have AR stickers (remember Sony's AR features in their cameras), it now uses the HTC U 'squeeze' function to bring up the Assistant, the lock screen will have a 'now playing' spot where it'll automatically listen for music and tell you what's playing, and that if you nab the XL it'll get you an 18:9 ratio screen. The devices topped last year's camera DXO rating of 89 and went to 98! Pick one of these 2 up and you'll get yourself a free Home Mini. They then showed the newest iteration of the Daydream, the Daydream View, and from what I could tell they just introduced a new fabric colour. This hits the store at $139. Then they hit on something that piqued my interest until they said the name. Ugh... Sounds like it could be some Disney Movie about phones that come to life. Anywho, it's a set of wireless earbuds that do way more than just play music. Sure, they'll play music tho'. For $219 these will bring you Assistant to your ears. With no button to push you tap the pad or swipe it for interaction. Neatest of all they showed on stage how it can work with instant (well, turn by turn) translation. Hear in your earbuds the translation of the other speaker, and then your phone will translate for you for them. The last one I was trying to balance budget sheets while listening so I'm not sure I 100% understood... but the Google Clip is a sort of ... GoPro, for lack of a better comparison that will use machine learning to know when and how to take photos and videos. They emphasized again that the learning takes place on the device. The more you choose to swipe something away or keep something else, the more it learns to, or not to, take photos of things. Paired with a phone app you go through what's on the camera and dump what you don't want. Researching on the Store's site is no help as it's not even listed there; so I've had to rely on other sites to get me my info. According to the Verge it's going for $249USD. Well, that's what they announced. One thing I noticed as they went through the whole shpiel was the continual mention of "Made for Google", which to me sounds awesome, but then as I hear about accessory OEM partnerships etc... it starts to have the ring of "MFI" and will their be an "MFG" 'tax' added on to items now. Has me a little on edge about whether I actually like it or not. Don't get me wrong. I'm loving that Google is really going the way of PREMIUM products. Let me stress that. These are premium (from my impression of seeing the videos and reviews of those who got to play with them)! But is that now removing a segment of the population who could really benefit from these full Google services, but can't pay for the hardware. Where's the balance?